A RECOVERED surveillance video from a Penn State fraternity house where a man died after a hazing ritual revealed the 19-year-old had been given at least 18 drinks within 90 minutes, leading prosecutors to file new hazing and manslaughter charges, officials said Monday. Centre County District Lawyer Stacy Parks Miller charged 12 additional men in the case, bringing the total number of former Beta Theta Pi brothers and pledges being charged to 17 in total, Fox News reports. Timothy Piazza, 19, of Lebanon, N.J., fell down a set of stairs and suffered fatal injuries on February 9 after prosecutors said pledges were forced to down a dangerous amount of alcohol and were then made to run a "gauntlet" of booze-drinking stations. The charges come from surveillance video that allegedly showed various members of the fraternity giving Piazza 18 alcoholic beverages in the span of 1 hour and 22 minutes, Parks Miller said. The video was deleted after fraternity members were made aware that an investigation into Piazza's death was under way, and police planned to obtain the footage. The basement video captured the ongoing hazing that occurred on bid acceptance night, and the continued repeated furnishing of alcohol by Beta brothers to Piazza, as well as the other pledges, throughout the evening. "In fact, on video, Tim Piazza does not obtain his own alcohol at any point-rather, every drink consumed was provided to him by a fraternity brother," her office said in a news release. Parks Miller said FBI agents were able to restore the surveillance video from the deleted hard drive in the basement of the house. "People had asked us before, why would somebody delete that video if they did delete it? That's what we wanted to know," she said. "Well know we know, because it contained criminal conduct." One former fraternity member allegedly texted his girlfriend "drink hazing can send me to jail," and "I don't want to go to jail for this." "I think we are f-----," he added. "Make sure the pledges clean the basement and get rid of any evidence of alcohol," one of the fraternity members allegedly texted another after Piazza's injury. 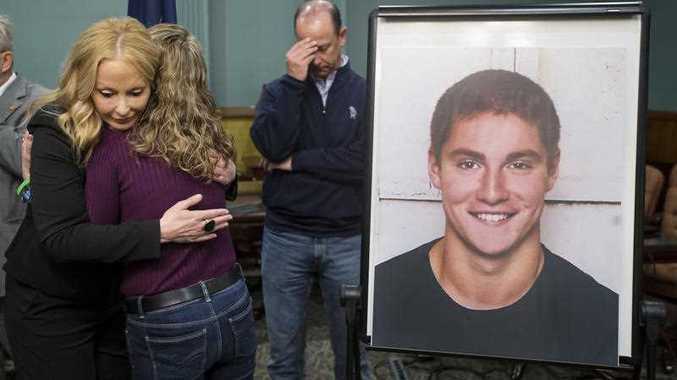 Last month, prosecutors announced they moved to reinstate most of the dismissed charges against 11 members of the now-defunct Penn State fraternity for actions related to the hazing death of the sophomore pledge earlier this year. Parks Miller announced the refiling of criminal charges, including involuntary manslaughter and felony aggravated assault, after District Justice Allen Sinclair threw out the felony charges in September against eight Beta Thea Pi fraternity members, her office said in a press release. The judge let stand lesser charges against them and six others, but dismissed other charges altogether against four of the members of the fraternity. As a result, those defendants again face the possibility of several years in prison, if convicted. Security video of the incident recorded Piazza appearing intoxicated and being led to a couch after 11pm. A few minutes later, he fell headfirst down a set of basement stairs and had to be carried back up in an unconscious state. For several hours, members of the fraternity appeared to tend to their injured friend, pouring liquid on him and strapping on a loaded backpack to prevent him from rolling over and choking on vomit. He died two days later on February 4 at a local hospital. "Hazing needs to stop, there's just no place for it," Timothy Piazza's father Jim said at a news conference. Penn State said last week it punished seven students in connection with Piazza's death who were found to be in violation of the university's student code of conduct. Penalties ranged from probation to expulsion, the school said, but it did not give a breakdown, citing student privacy. Violations included "hazing" and "creating a condition that endangers," the school said. It did not identify the students. Another 19 students withdrew before completing the disciplinary process and must complete it before returning to Penn State, the school said. Six students participated in the process and were not charged with any violations. Prosecutors on Monday charged Ryan Liam Burke, Bo Han Sang, Joshua Robert Kurczewski, Aiden O'Brien and Jonathan Kanzler with felony aggravated assault and misdemeanour involuntary manslaughter for their alleged roles in the events that led to Piazza's death in February. 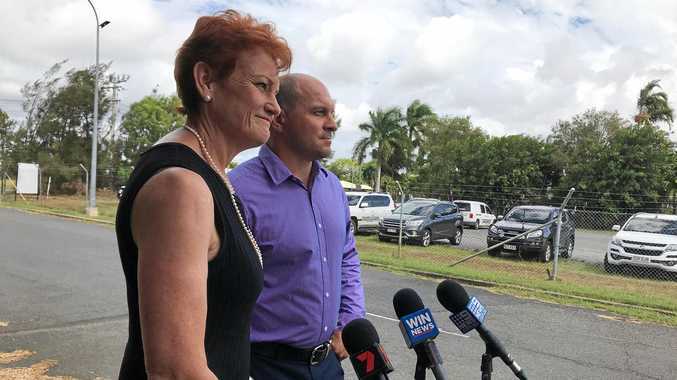 The five were also charged with misdemeanour simple assault, misdemeanour recklessly endangering another person, misdemeanour hazing and misdemeanour furnishing liquor to a minor, according to the DA. In addition to the five, Joseph Ems, Brian Gelb, Patrick Jackson, Reggie Goeke, Donald Prior and Mike Fernandez were charged with misdemeanour hazing and misdemeanour furnishing alcohol to minors. Prosecutors also filed charges against Braxton Becker with tampering with evidence, obstructing administration of the law and hindering apprehension for allegedly trying to destroy the recording. This article originally appeared on Fox News and is republished here with permission.